For those following the USD, USD pairs, and ETFs like UUP, UDN, FXE, FXY, etc. It’s a typical packed first week of the month economic calendar, and so there will be lots of written about how much there is to watch. To simplify your attempts to understand what’s happening with the USD, you need to know that the only reports or events that matter for the USD are those connected to the following big themes. As applied to the USD, a unified field theory for the dollar would explain all the major market moving forces on the USD and how they move it. The task is easier. Overall risk sentiment given the dollars’ ranking as a risk or safe-haven currency. That ranking has become less reliable recently, but over the past years the USD has been the #2 safe haven currency and so tends to move up in times of pessimism and down in times of optimism, with certain important exceptions. Speculation on the current and future direction of benchmark interest rates. Ok, true, those are the primary drivers for any of the major currencies. Because the USD is part of the EURUSD, the most widely traded currency pair, the relative strength of the EUR is also a prime mover of USD exchange rates. When the EUR is strong it pushes the USD down and vice-versa. 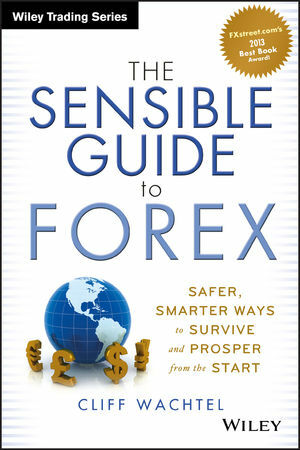 I discuss these in detail in chapter 6 of my book, The Sensible Guide to Forex. You can view much of that chapter here for free on its amazon.com page using the Look Inside feature. As we discussed in depth here and here, over the past week most global markets have moved with speculation on whether the Fed will really trim back its current $85 bln mortgage bond buying program. It would reduce potentially dilutive USD printing. Yes, until the velocity of money picks up this is more of a theoretical threat, but the USD does drop when markets believe QE is being held steady or increasing. It suggests the Fed is moving towards higher rates relative to other central banks. Last week, the USD fell versus most of the major currencies. The moves were mostly minor, so they may be due to a variety of technical considerations rather than skepticism about the size and timing of any Fed stimulus cutback, if it occurs at all. Viewed from the above USD unified field theory, here’s what’s likely to move the USD this week, listed in order of likely importance. For now, the influence of a given market mover is directly related to its ability to influence sentiment on QE tapering or the Euro. In other words, the potential to move the USD is directly related to how they influence sentiment about QE or the Euro. Here are the events most likely to do that. Consensus is for about 160k new jobs created in May. To move speculation on QE, the report needs to beat or miss that by 20% or more. Meaning that a reading of about 200k or better increases the likelihood of QE reduction and boosts the USD, a reading under 130k has the opposite effect. Anything in between would not, by itself, evoke much of a change from the recent ranges of the major USD pairs. Similarly, ~20% better or worse readings from the jobs components of the manufacturing and services PMIs, or from the ADP non farms payrolls reports that come earlier in the week would have a similar effect. Note also that typically by Wednesday or Thursday, depending on the quality of the news those days, markets tend to get cautious ahead of the US monthly jobs reports and volatility tends to become muted unless there is something big on the scene. Anticipated result: Neutral – the consensus 160k is below the over 200k of new jobs the US needs just to keep up with demand. Therefore this reading would just confirm the slow growth picture that is unlikely to motivate the Fed to tighten monetary policy. This week brings a variety of PMIs for the Euro-zone and its members. Expectations are low, so there is more potential for a positive surprise that would lift the EUR and thus pressure the USD. There’s also a French and Spanish 10 year bond sale. A spike in rates that attributed to Fed QE cutbacks could raise EU crisis fears, pressure the EUR, and thus boost the USD. As noted in our preview of the coming week’s market movers here, there are FOMC member speeches throughout the week, and most focus on the US economic outlook. As always, these are potential venues for leaking further hints on Fed thinking, though we don’t expect them given that last week provided the best opportunities to send whatever messages they intended to convey. As we covered in our review of lessons for the coming week here, momentum on the daily charts of the S&P 500, our overall risk appetite barometer, is neutral, as it has entered the middle zone of its double Bollinger bands. See here for a review of how to interpret them. However on the weekly chart the uptrend remains intact. Our basic long term thesis remains unchanged; we see more upside to the USD as the central banks of its chief counterparts, the EUR, JPY, and others, remain relatively more dovish. Any breaks out of trading ranges for the prior two weeks for the major USD currency pairs will depend on whether we get any surprises in the above USD and EUR market movers.